With December approaching, the dark days of December are getting closer. 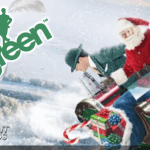 Christmas will provide a lot of light in the darkness, especially at Mr Green Casino where a daily Christmas Casino Promotion is waiting for you with a chance of winning cash, gadgets, holidays, and so much more. 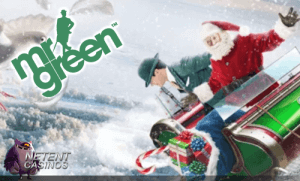 With less than a month left until Santa is coming to town, you can already benefit this festive time thanks to another marvellous Christmas Casino Promotion at Mr Green. Last year’s Christmas Calendar was a real success, but this year the generous gentleman in green decided to go for bigger and better with an amazing €1,000,000 Festive Quest! So whatever is on your Christmas wishlist, Mr Green has you covered by giving away €1,000,000 in cash prizes, gadgets, holidays and so much more on your quest to retrieve all of Santa’s lost gifts. Each day holds an exciting treat for you to enjoy in either the Casino, Sportsbook or LIVE Casino. 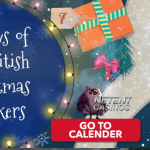 So check back daily until Sunday 31st December 2017 or risk missing out on amazing casino Christmas gifts. With December just around the corner, I’m going to give it my best to keep you players updated with the best Christmas promotions. 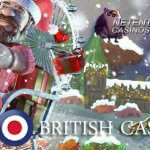 While Mr Green is already being generous since halfway November, I just officially opened the festive season on NetentCasinos.com. 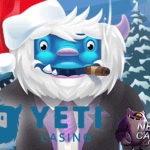 Christmas Casino Promotions and more Casino Promotions is what to expect in the upcoming days celebrating Christmas as well as New Year’s Eve. Get a head start before December as Mr Green and Santa are giving away 20 prizes totalling €10,000! 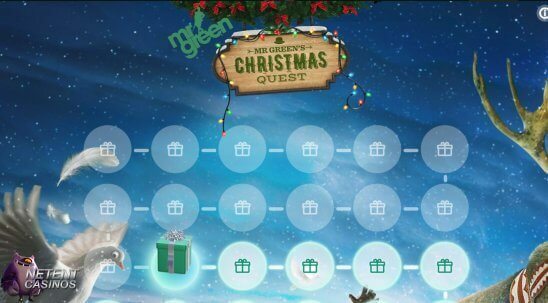 Every 50 spins you play on any video slot available in Mr Green’s Christmas Collection including NetEnt’s Secrets of Christmas™. today enters you into the prize draw (Max 10 entries). You’ll receive an entry with every 50 free spins played, no matter if you play on desktop, mobile, tablet or Apps. 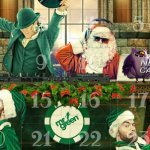 Twenty €500 cash prizes will be available during today’s Christmas Casino Promotion at Mr Green totalling €10,000. I think that’s a very good reason already to bring Mr Green Casino a visit while another 32 presents will be still available after today! !